The TB WC33 XP wide cut walk-behind mower offers "on a dime" zero-turn maneuverability and a wider 33", twin-blade cutting deck to provide features of a riding mower in a walk-behind platform. 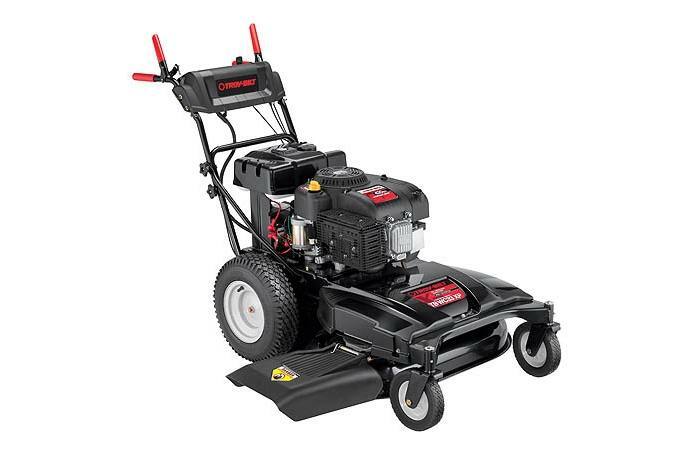 The rear wheel self-propelled wide cut lawn mower features electric start. Easily just turn the key and go with the powerful 382cc Troy-Bilt OHV engine. Cutting Height Range: 8 settings from 1.25 in. - 3.5 in.